Consider a museum without visitors. Suddenly, a center of carefully curated specimens with a purpose becomes an eccentric billionaire’s basement. 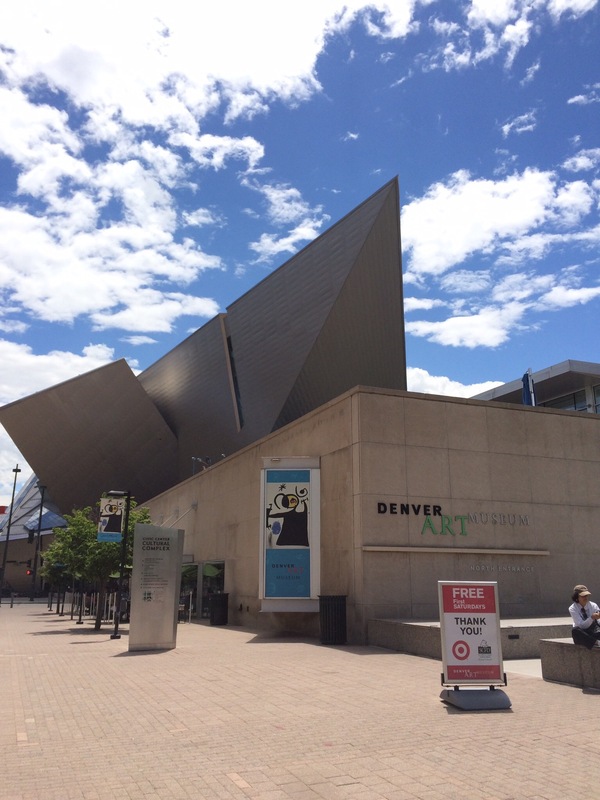 In his forward to the collection highlights guide the director of the Denver Art Museum, Lewis Sharp, states, “great art and outstanding architecture do not constitute a successful museum experience. The viewer completes the art.” He and his team of curators, educators and wizards (probably) take that concept to heart in every aspect of the museum, launching it to the highest level on my Museum Echelon of the World (MEOW). Lewis isn’t wrong when he points out the outstanding architecture of the 2006 addition to DAM designed by fancy-pants architect Daniel Libeskind. Sharp crystalline metallic surfaces of gigantic boulders pull you into their belly where you’re welcomed by a refreshing open air atrium interrupted only by the seemingly weightless grand staircase. I was surprised by the ease with which I could navigate the galleries in this contemporary marvel. Too many times even the most adept boyscouts find themselves trapped in a gallery labyrinth, only to realize they missed an entire section of the museum. (Looking at you, The Met.) Organically, it would seem, the galleries guided me to and fro and out again. Scattered throughout these superbly designed spaces are nestled little studios and libraries. 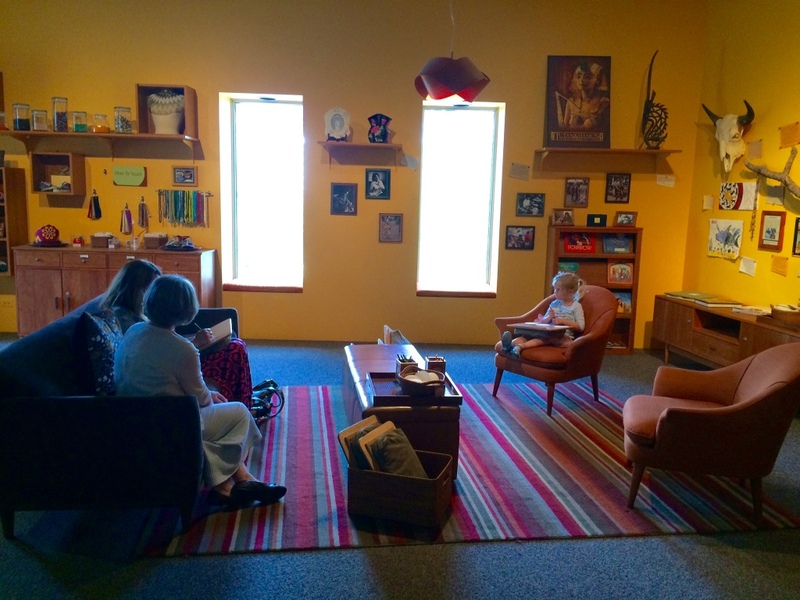 Equipped with books, artifacts for touching, crafts, costumes and cozy cushions, each nook is themed to coordinate with its corresponding gallery. In the American Indian art hall a little girl busied herself with coaster decorating in a traditional Plains Indian beading pattern while I played with a pair of authentic moccasins. In the Western Art gallery Kyle and I broke into a safe full of railway bonds! Kyle found authentic prints from Callot, Picasso, Boucher and more in a chest of drawers. Warm, welcoming and tucked into quiet corners, these spaces make it obvious the museum wants you to relax and feel at home – an idea most art museums struggle with. Without the breaks for our minds and feet, I doubt we would have made it through all 7 levels. Like the studios and libraries, the educators at DAM have developed interactive games for nearly every gallery. In the Miro exhibition Kyle and I went on a scavenger hunt that helped us look closer at the Surrealist’s late work. Those squiggles? That’s a bird. We played bingo while exploring modern and contemporary American Western Art and then made an “old fashioned postcard” to take home with us. While these activities are geared toward children not pushing 25 years, they really helped me look at the art in a focused and fun way without getting overwhelmed. 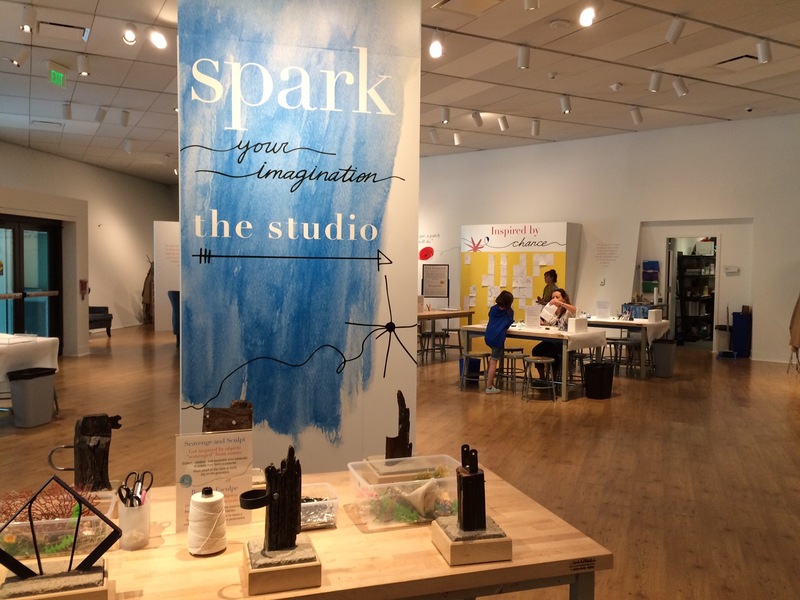 While the museum clearly has an intense focus on visitor experience – conservation viewing areas, a huge craft studio, explanatory videos, the list goes on – they also have a unique and refreshing curatorial approach. So many museums are challenged with displaying cultural artifacts as static objects rather than the living interactive pieces they were meant to be. 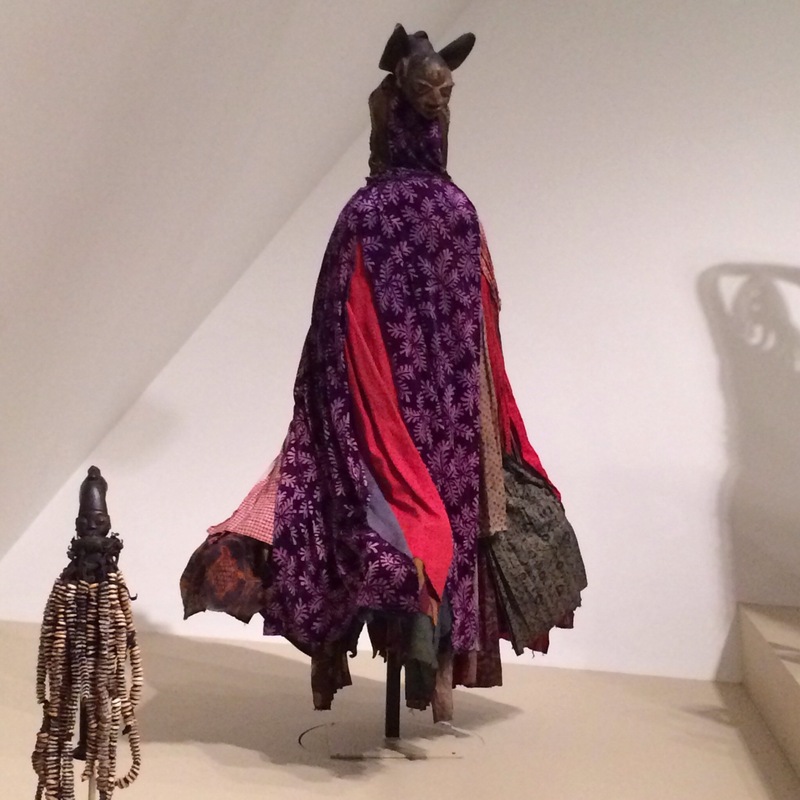 For a West African Egungun mask, used in ancestor-related dance ceremonies, movement is paramount to the mask’s function. In a quiet museum setting, however, curators are faced with conservation concerns (constant movement is bad for artifacts) that often outweigh contextual integrity. So, DAM built a special rotating mannequin; it simultaneously supports the mask while offering visitors a semblance of the intended movement. I also found the approach to the American Indian art incredibly refreshing. Upon entering the gallery visitors are asked to consider what it is that makes Native American Indian art truly Native American. Native American identity itself was also questioned. The museum offered only an array of responses ranging from self-identifying American Indian artists to Ph. D. art historian experts on Native art, but did not suppose a definitive answer. To continue the complicated narrative and foster important thought, rather than display the pieces only chronologically, the curators chose to pair contemporary and modern American Indian works with historic pieces. An impressive visitor experience, paired obvious care for unique cultures and artifacts, complete with the restaurant that served me a life changing meal, the Denver Art Museum truly deserves to be placed on the highest level of art museums in the world – regardless of their lack of Renaissance masterpieces. Critics will tell you that only the coasts can offer the best art museums but this Ohioan will scream from the Red Rocks that this is categorically false. I’m qualified to make this claim not because I’ve spent 6 years studying art and a lifetime visiting museums, but because I’m a human person who has stepped inside numerous art museums from the Mid West to the (actually geographical) Mid West and had a damn fine time.